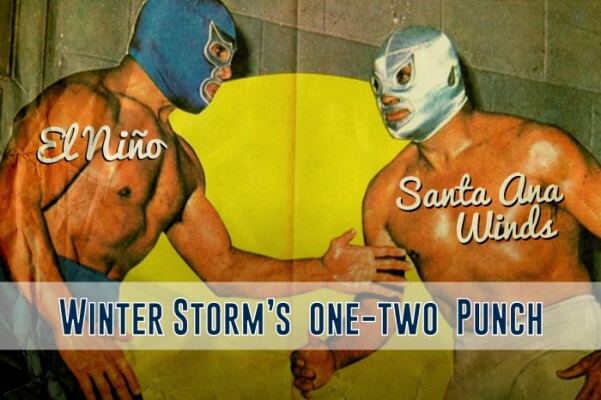 Although “El Niño & Señor Santa Ana Winds” sort-of-sound like headliners at a Mexican wrestling match, their one-two punch can be a HOA and Property Manager’s worst nightmare. First, “El Niño” pummels our communities with heavier-than-average rains that saturate the ground and loosen the compacted soil that brace concrete post footings. Then when “Señor Santa Ana Winds” gusty-fury arrives, unstable sections of property fencing topple with gusto. This patented WWE-worthy maneuver is super effective at sign upsets, carport collapses, retaining wall falls and trash enclosure take-downs. No need to fear this weather-damage grudge match, you’ve got the Carasso “go-to guys” in your corner. "had some anxious moments ..."
"I'm writing to let you know how pleased I am with the gentlemen you sent - very polite accommodating and trustworthy. I had some anxious moments in the past with other companies, but was confident in Carasso and satisfied with a job well done."